How does one go about delving into the Realm of Erlikan, the Underworld? How does one maintain focus on the purpose of embracing Danina, when we suddenly find ourselves in the midst of our own demons of guilt, shame, fear and trauma, without finding ourselves trapped in the quagmire of the Darkness? What is the manner by which we can withdraw the Soul of the Shadow Feminine and into expressive embodiment with Aynana? The simple answer is: You can do it. Just do it. If you feel it would be more productive to ask someone you trust who has undertaken this journey numerous times, who knows the pathways, can speak with – and make the proper promises of atonement to – Erlikan (to secure the release of Danina), and can authentically listen in compassionate embrace of our wounded sister Danina… if you feel this to be of value, then: Ask! My task and Calling, as Shaman/Mén-zu, is to meet that request with knowledge, experience, honor and compassion. I will do so in a manner that is both safe and effective. Fill out and submit the Registration form, in full. The sufferings that you have hidden away within Danina. Please, no life stories! Example: Danina: I have withheld and denied, or am overcome by feelings of ______________. Aynana: I desire the expression in my life of ______________. Make a payment of $260 via PayPal. During the three nights following the receipt of your request I will embark upon a journey into the Underworld Realm of Erlikan. An assessment will be made of Danina’s (your own Shadow Feminine) state and condition. A litigation with Erlikan will ensue for the release of Danina from the Underworld (and, therefore, from the grip or obsession of her pains and sufferings). Atonements on your part will be necessary. Atonements are actions necessary to reinstate balance and harmony between Danina and Aynana (your Inner Feminine and your Conscious Self). Nothing in an atonement is requested that in any way requires inappropriate behavior or deeds. You will receive from me an email describing what has transpired. This will be written within a template format that tells of the overall journey. The elements specific to you will be denoted as such by being written in italics. Included will be details of the state and condition of Danina, my interchange with Erlikan on her(your) behalf, and the atonements that are required of you. On the night of March 18th, when the Crescent Moon (Mén-zu) is conjunct Venus in the evening sky, I will, as the mythic embodiment of Mén-zu, connect Danina with Ayana with a dance and song, enabling the transference of Danina’s life-force charge – now released and transmuted through your atonement of compassion – into the embodied mythic presence of Aynana. This activates a transference of her beatific qualities into your fullest life expression! I will send you a link to a recording of me singing the ‘Song of Aynana and Danina’. You will be able to download the audio file and listen at any time that you desire to evoke the power of Danina expressed through the qualities of Aynana. Why $260? 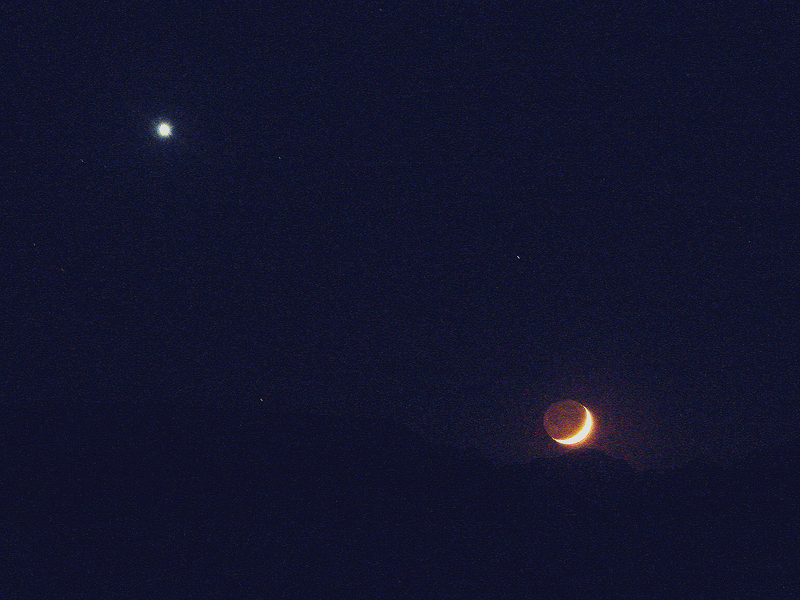 Venus is in the evening sky for a period of 260 days, from first rising to final setting. $260 honors each and every day of her presence as the Evening Star, and honors your expression of her sacred qualities.